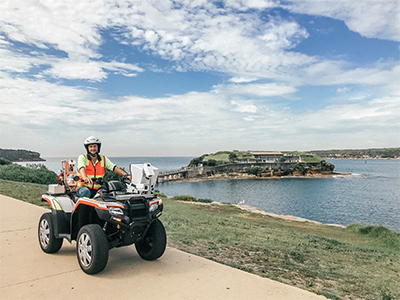 Randwick City Council will use quad bikes with cameras and GPS tracking to systematically assess the condition of all local footpaths and shared access ways starting from Wednesday 6 February. 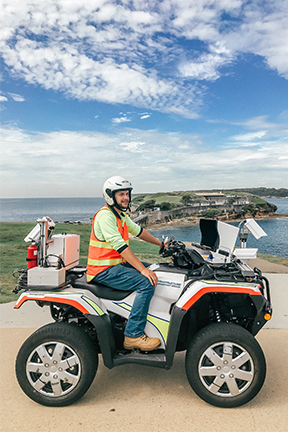 The vehicles will roam the 525 kilometres of footpaths within the Randwick Council local government area in order to create accurate records of path conditions and to prioritise future upgrades and repairs. Randwick Council spends $1.7 million each year to repair and renew footpaths. The data gained from the quad bikes will assist Council to effectively prioritise the areas that need attention. “Council has always taken a proactive and planned approach towards the maintenance and renewal of footpath assets and used feedback from residents to help identify areas needing repair, which has proven very effective,” said Randwick Mayor Kathy Neilson. Quad bikes will move at a brisk walking pace and cameras will be focused primarily on footpaths in order to preserve privacy of residents. They will survey footpaths until early March and will yield to the needs of other footpath users wherever possible. For detailed maps of all planned footpath improvements please see Council works and upgrades flyers located here. For more information, please visit www.randwick.nsw.gov.au or call 1300 722 542.